2005.03.05 is a single project that comprises a series of different artworks. The use of the opening date as the exhibition’s title signi- fies the handover of the exhibition by the artist to the general public. 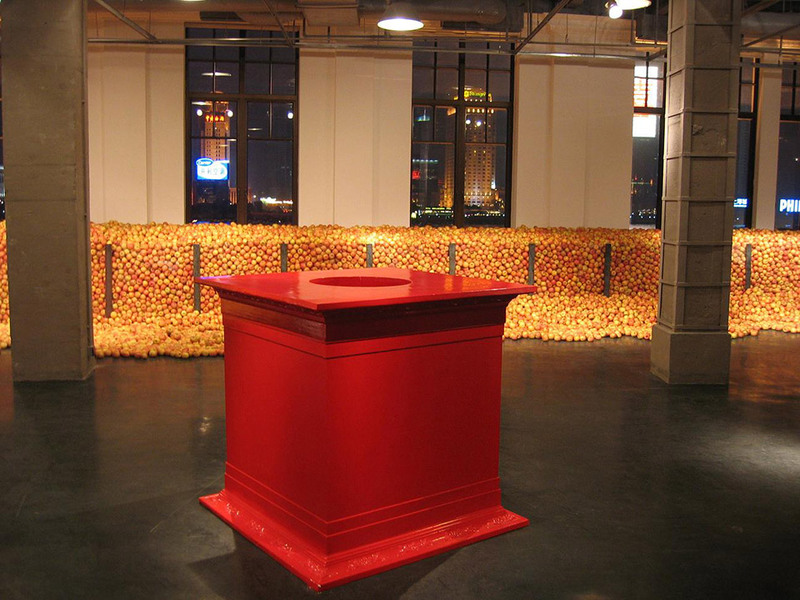 Using a large number of apples, bananas, and artificial materials for various site-specific installations, Gu encourages the audience to participate in the exhibition. 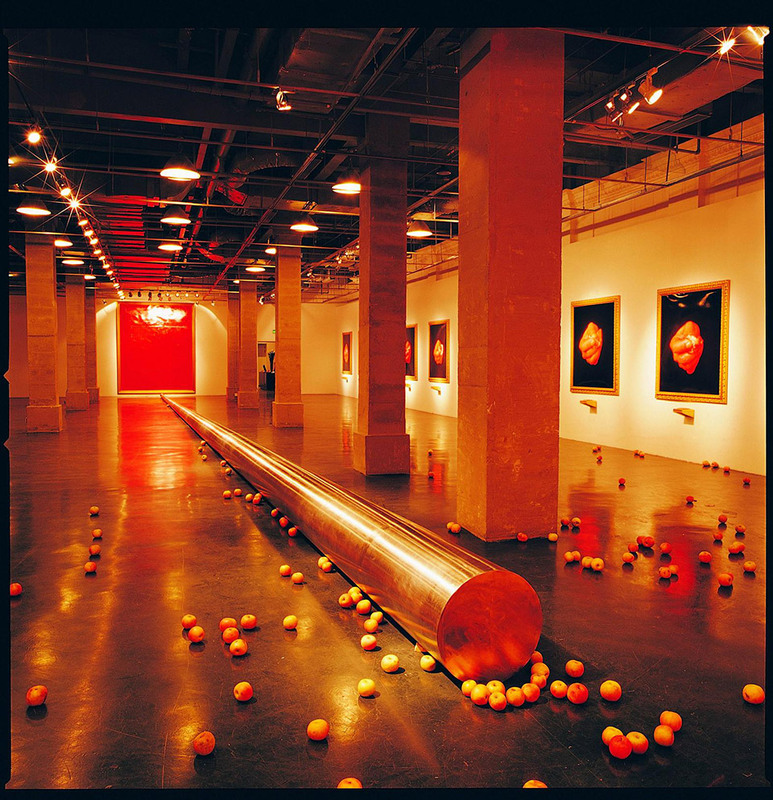 The audience can consume the fruit at will and thus become in- cluded in the process of reshaping the artwork as the exhibition pro- gresses. Deliberately placed inside gallery’s atrium is a large-scale plinth. A close examination shows that the plinth was conceived with the proportion of the whole atrium in mind. One would normal- ly expect to see a classical sculpture on the top of it to sanctify the architecture of that space. Gu subverts such a trope by painting the plinth with bright red paint, thereby making the object self-referential. Furthermore, Gu deflates the imposing spectacle of such an out-of-proportion plinth by placing a «sea» of bananas on the marble floor. Within a short time, the rotting bananas have left their marks on the marble floor. If the very identity of the atrium is derived from the art object, Gu’s strategy is to counter this architectural conceit with a completely natural phenomenon. The viewer is confronted with a sense of helplessness, witnessing thousands of bananas gradually rotting away.